The Provincial Nominee Programs (PNPs) are these days inviting a huge number of Canada immigration applicants. In the month of August, 2016 only, close to 2000 invitations have been issued by the top Provincial Nominee Programs of Canada. It clearly indicates the rising status of Canada’s Provincial Nominee Programs as the key source of immigration to Canada. Let’s take a look at the key PNP invitations in late last month. The Saskatchewan Immigrant Nominee Program (SINP) and Manitoba Provincial Nominee Program (MPNP) both launched their draw on August 24, 2016 to issue the invitations. On the other end, British Columbia Provincial Nominee Program (BCPNP) issued the invites to the Canada PR applicants. Here are the key details of these key Canadian immigration programs. It’s one of the best immigration programs in Canada through which Saskatchewan province in Canada invites the application for Canadian PR. The applicants succeeding in the program receive the nomination certificate from Saskatchewan, which makes them eligible to apply for PR visa in Canada to IRCC. The International Skilled Worker –Occupation in demand sub-category is one for the most popular streams of SINP that gets capped very fast after opening every time. Manitoba Provincial Nominee Program (MPNP) is another crucial PNP of Canada that is run by Manitoba province in coordination with the federal government. It nominates the successful candidates to IRCC for permanent residency. Skilled Worker in Manitoba and Skilled Worker in Overseas are the key streams of MPNP. The British Columbia Provincial Nominee Program (BCPNP) is an immigration program through which British Columbia province of Canada nominates the applicant for the Canadian PR. The successful candidates get the nomination, based on which they apply to IRCC for PR visa. The Skill Immigration, (Skilled Worker and International Graduate), and Express Entry BC are the key streams of BCPNP. At the time, when express entry system is putting new challenges in front of the applicants, in terms of high qualifying marks, the Provincial Nominee Programs (PNPs) the keyway out for immigration to Canada. Provincial Nominee Programs are inviting thousands of applicants in a year for permanent residency in Canada. Moreover, these programs also offer several relaxations and benefits to the candidates, i.e. no job offer requirements, points calculated for area of training, fast application processing, etc. Hence, the time has come that the applicants must think beyond express entry and start applying to the key Provincial Nominee Programs of Canada, in order to secure their PR visas with lesser waiting time. How to get vital support and assistance to apply in Provincial Nominee Programs? If you are not much aware as to how you can confirm the details and apply in the top Provincial Nominee Programs of Canada, you may coordinate with Visas Avenue- the top Visa Consultancy Service for Canada Immigration. Visas Avenue has years of experience in dealing in the different immigration programs of Canada. You will get through support from Visas Avenue in the complete immigration process from start till end. To begin the process, talk to the experts at Visas Avenue on contact nos. 011-48447777 (Delhi), 040-42467777 (Hyderabad), or 080-46668222 (Bangalore) or mail your queries to info@visasavenue.com. How to Get Canadian Visa via Express Entry without any Job Offer? Canada PNPs are in Pipeline! How to choose the best PNP to Apply Canada PR? How to Apply for Canadian Visa through a Provincial Nominee Program (PNP)? 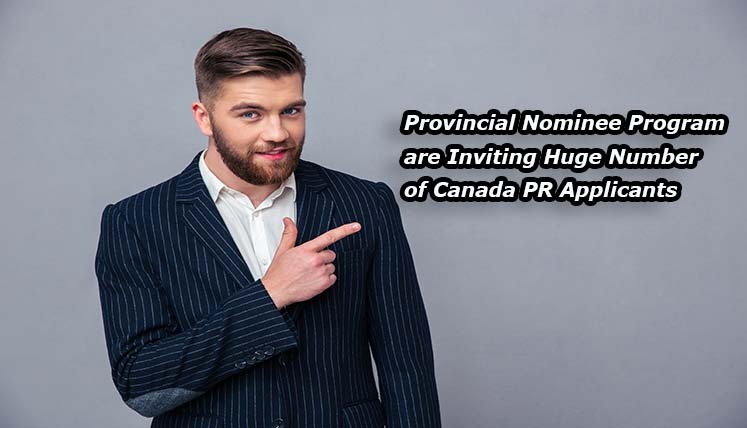 How Provincial Nomination can ensure hassle free PR in Canada?